What I like most about the Organic wear® line is that it is true to its advertising- "Hypoallergenic. 100% Free of Harsh Chemicals. 100% Free of Synthetic Preservatives. 100% Free of Parabens. 100% Free of GMO's. 100% Free of Synthetic Colors. 100% Free of Synthetic Fragrances. 100% Cruelty Free." I have found their other products to be pretty good, in terms of its staying power, considering it is using non-chemicals. Check out my reviews on: Organic wear® mascara and Bronzer/Blush compact, Bronzer compact, and eyeliner. 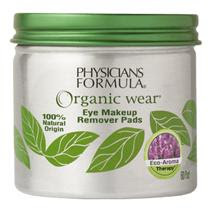 According to their site, the Makeup Removers are formulated with "Eco-Aroma Therapy™ to condition and soothe: OrganiSoy® to moisturize and help nourish lashes; Eco-Olive®, natural antioxidant, to help shield lashes from harsh environmental aggressors; Organic Orange Water to help nourish and restore delicate skin's moisture balance; Organic Lavender Essential Oil, sweet, natural scent for a calming effect." 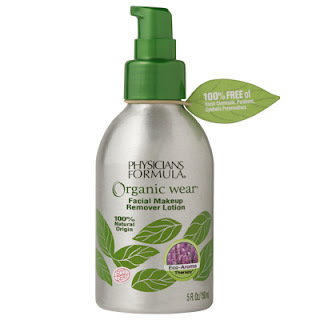 I noticed that the lotion contains Organic Jojoba Seed Oil and Vitamin E to "moisturize and help protect skin." I've heard great things about using Jojoba oil for your face. 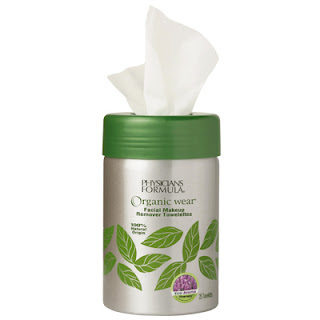 Towelettes: 100% naturally soft towelettes gently remove traces of makeup and impurities leaving skin soft and supple. Ultra gentle formula conditions and helps soften skin. Infused with Organic Aloe Vera Extract to condition. Liquid: Easily removes eye makeup with no greasy residue. Ultra gentle formula hydrates skin and conditions lashes. Infused with Organic Cucumber Extract to soothe the delicate skin of the eye area. Just fill out the rebate form here. 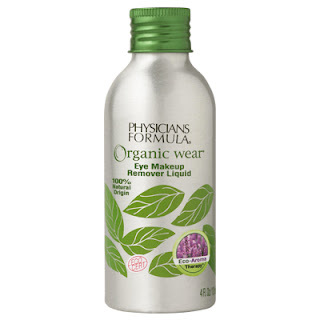 Physicians Formula is also offering rebates on their Organic wear 100% Natural Origin Mascara, Bronze Booster, and Mineral Wear® FaceBrighteners™ and BronzeBrighteners™. I will be on the lookout for this product at my local drugstores!